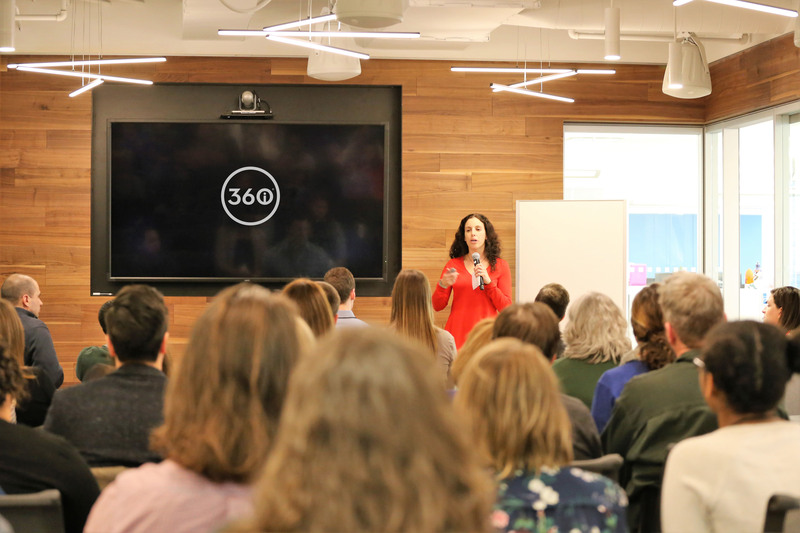 in 360i News with tags #360itheden, Chicago, digital age, digital education for nonprofits, Insights, marketing, nonprofit organizations, paid social, seo, social media, the den Both comments and trackbacks are closed. 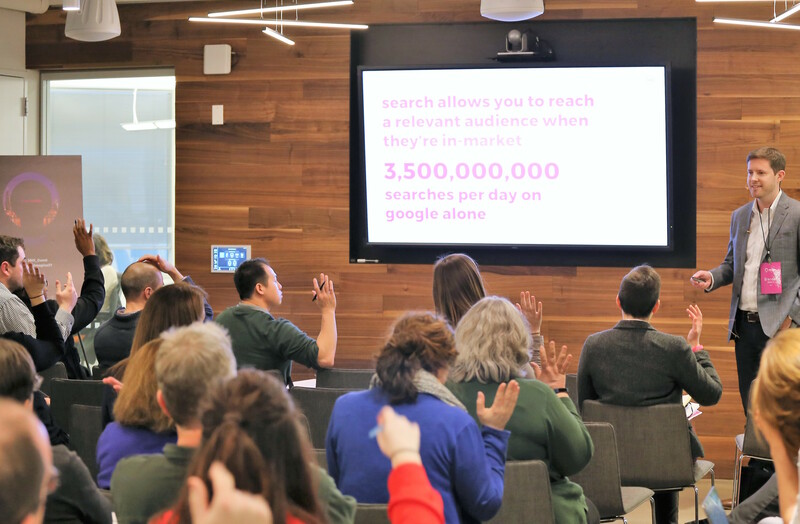 After a successful inaugural event in our NYC headquarters last year, we held our second iteration of ‘the den’ – Digital Education for Nonprofits – yesterday in our Chicago office. The morning kicked off with a full house, as over 60 nonprofit marketers from more than 40 organizations joined us for a day of programming that focused on “Navigating the Future of Giving.” Subject matter experts from our various disciplines, including Social and Influencer Marketing, SEO/SEM, Insights, and Paid Social, gave their tips and tricks on how to make meaningful connections with key audiences for nonprofit organizations. We also welcomed guest speaker Temitope Famodu, Director of Communications and Fundraising at GirlForward, who spoke about the importance of finding your brand voice, crafting effective stories and connecting with millennials. To close the day full of inspirational programming, we invited our guests to grab a drink, network and mingle in the Chicago office’s newly renovated Wrigley Field café. To help extend the content covered at this one-day workshop, below you can find a top-level guide to some of the insights, tools and best practices covered throughout the day. From all of us at 360i, a sincere thank you to our partners that made the day possible, and to all the nonprofit marketers that joined us for ‘the den’! Following two impactful years of programming, we look forward to bringing this series to life in more workshops to come. Follow 360i on Twitter to stay up-to-date on plans for the next event. First time hearing about it? You can learn more about ‘the den’ in our introduction blog post or by watching the video below.